Born - 1975 in Jaslo, lives in Bytom (Silesia) - PL. 2001 - graduated from The Academy of Fine Arts in Krakow, Faculty of Graphics in Katowice. Since 2003 - a lecturer at The Department of Graphic Design at The Institute of Arts in Cieszyn. 2006 - recieved a Ph D. degree in Art (The University of Silesia in Katowice, The Institute of Art). Co-foudner of the following art-groups: Grupapieciuniedziesieciu, Mistegorznizowegoz, Fünf and To. Creates graphic design, painting, illustration and theatre. The co-author and the director of a theatrical spectacle entitled "Mu”, inspired by the traditional aesthetics and philosophy of Japan (the premiere took place in Teatr Maly in Tychy in 2007). Participated in over 180 group and solo exhibitions both in Poland and abroad, including: USA, Japan, China, South Korea, Iran, Turkey, Finland, Germany, Italy, Scotland, Switzerland, Russia, Belgium, Slovakia, Lithuania, Sweden, Czech Republic. 2008 - recieved a grant from The Ministry of Culture and National Heritage to carry out a project entitled "Polska Szkoda? 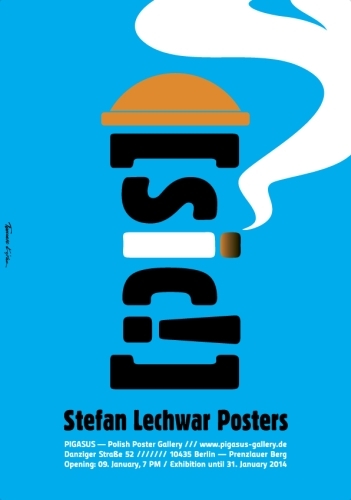 Plakatu” (Polish Poster Loss?). The exhibition shows the most important works of the author. Including the very first printed one and the latest.